The long-haul arm of budget carrier AirAsia said Monday it would suspend operations to Iran, citing currency "volatility" as the carrier mounts new profitable destinations across the Asia-Pacific. Malaysia-based AirAsia X said the current four times weekly flights between Kuala Lumpur and Tehran will be suspended with the last flight on 14 October. AirAsia X said "the suspension of its services to Tehran Imam Khomeini Airport" was due to challenging economic and business conditions including the "volatility of the Iranian currency". The statement did not say when services would be resumed. Iran, which has been ruled by an Islamic theocracy since the 1979 revolution, is locked in a diplomatic stand-off with the West over its nuclear activities, which Tehran insists are entirely peaceful. Western sanctions has resulted in the plunge of Iran's currency. In a bid to rationalise its operations AirAsia X this year axed its four-weekly flights to Christchurch. It has also ceased service to London, Paris and Delhi and Mumbai. Oil-rich Iran has good ties with Malaysia. Tehran and Kuala Lumpur have been trying to grow trade relations. The airline launched flights to Iran in 2010 since Malaysia was a popular tourists destination for Iranians. AirAsia X operates nine Airbus A330-300s to 12 destinations in six countries -- Japan, Korea, Australia, China, Nepal, and Taiwan. Former record industry executive Tony Fernandes plucked ailing AirAsia from its deathbed in 2001 and quickly turned it into one of the aviation sector's biggest successes. Fernandes established a successful template for AirAsia that included flying into secondary airports in major cities, with their lower landing costs. He launched AirAsia X in 2007, to concentrate on long-haul routes of over four hours while AirAsia and its regional subsidiaries handle shorter flights. 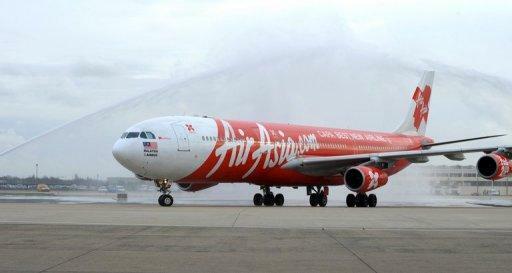 AirAsia X, which carried 2.5 million passengers last year, has targeted seven million passengers by 2014 on the back of the additional capacity. It hopes to be listed soon.